Going crazy, it was blogged about last week. To be honest, I have literally been going nuts lately: I’ve eaten tons of pistachios, peanuts and cashews over the past few months. Where I used to make popcorn almost every day nuts are now on my “snack menu” on a daily basis. It's a matter of getting some variation in the "in-between meals” too, you know. So, I eat nuts and being a “vegetarian” that’s a good thing to do. I’ve been living a “meatless” life for the past 12 years and other ingredients must replace the meat. Nuts are said to be (one of) the perfect surrogates here. Not only are nuts healthy, they're also fun. 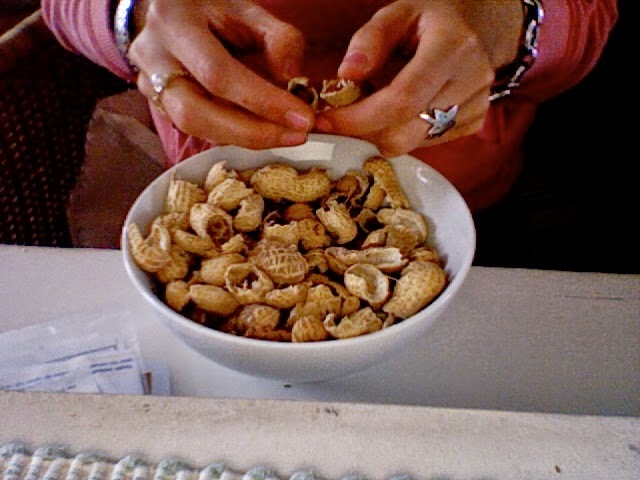 The act of cracking the peanut and pistachio shells makes eating them funny; it’s like you have to deserve what you eat, you know. Unless you go really nuts and eat the shells as well, but that’s not how crazy I’ve gotten (yet?). P.S. What’s your favourite kind of snack?